/ Can a Timber Extension Really Have a Positive Impact on Health and Well-Being? 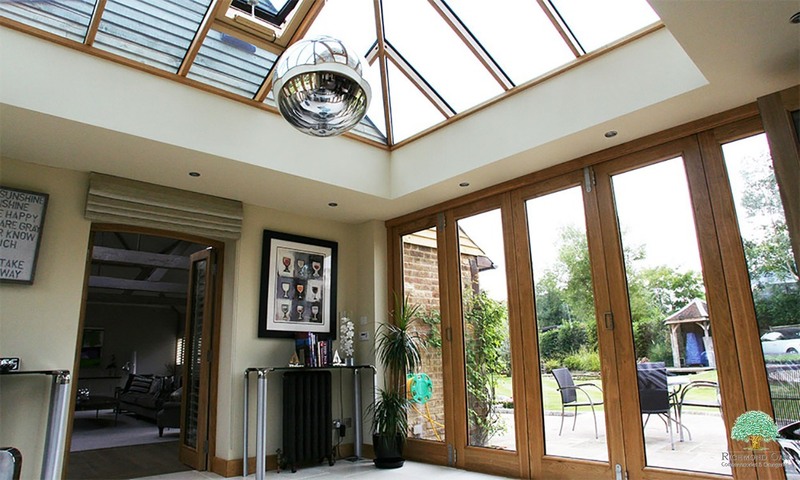 The benefits of timber are extensive and well-known within the construction and property industry. Firstly, it is a natural, sustainable and eco-friendly material. 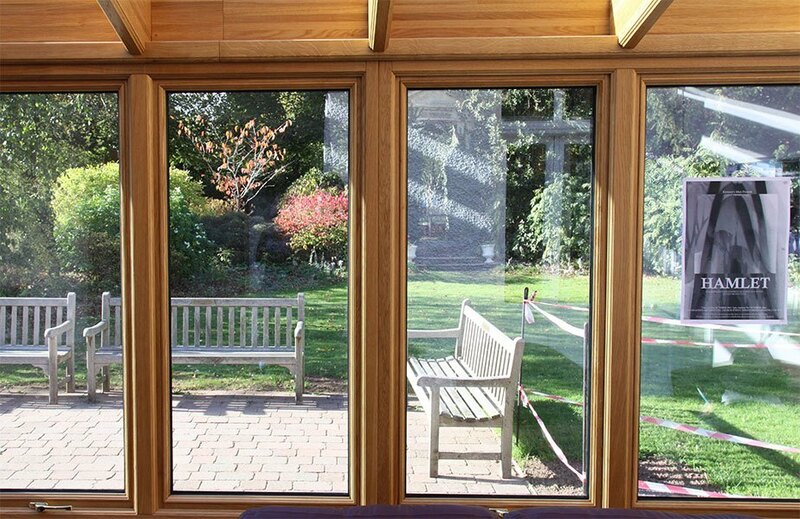 It’s also completely safe, offers great insulation and is durable, hard-wearing and easy to maintain. 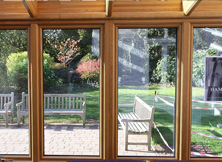 However, one of the lesser known benefits of timber is the positive impact it can have on our health and well-being. 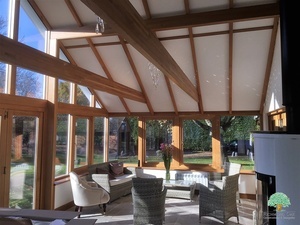 This article will explore the use of timber in homes and workplaces - and the physical and psychological benefits experienced as a result. Everyone knows that a walk in the forest ‘feels good’ and that it can help to clear your mind and de-stress from daily life. ‘Biophilia’ is the term for this phenomenon and it describes the affinity humans have towards the natural world. But nature, and more specifically wood products, do not just have a positive impact on our health whilst we’re outdoors. 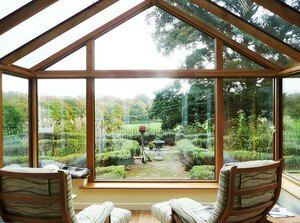 The calming qualities of timber can also improve our health and well-being when used indoors, both psychologically and physically. It has been reported that, every year, we spend an astonishing 90% of our time in buildings or cars. Therefore, it’s important to make sure the materials we use in these places are beneficial for both our physical and mental health. Studies have suggested that building design can contribute to issues such as Seasonal Affective Disorder, depression and even lung disease. As such, choosing the right materials can help to ensure the wellbeing of the structure’s occupants. 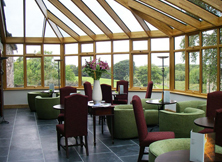 Timber is a natural material which can encourage a positive biophilic response. In fact, there have been many studies which show just how good it can be for your health and wellbeing. It has been proven that wood can lower the sympathetic nervous system in humans which, in turn, can positively impact blood pressure, stress levels, heart rate and our digestive health. Bearing all of this in mind, it makes sense to use this material, and exploit its long list of benefits, in the spaces where we spend most of our time - in our homes, workplaces and schools. 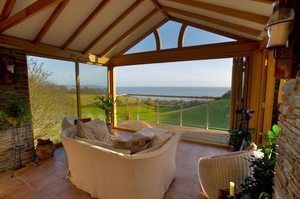 As our environments become increasingly urbanised, people like their home to be a place which prioritises relaxation, peace and tranquility. This desire for a space to unwind, coupled with the surge in popularity for Scandi design, has meant more people than ever are bringing wood products and timber construction into their home. According to the Wood for Good campaign, 90% of people want a home that doesn’t compromise their health and well-being and a third would also be willing to pay more for a healthy home. 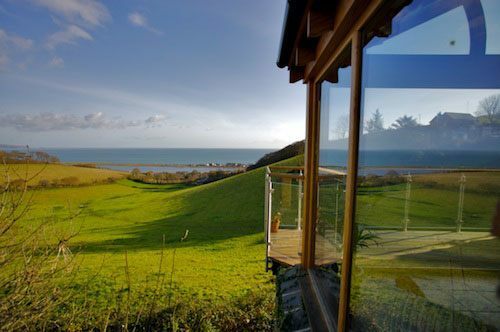 Similarly, the Wood Window Alliance (WWA) conducted a survey and found that 47% of people agreed that having natural materials in their home made them happier, as compared to having artificial materials. 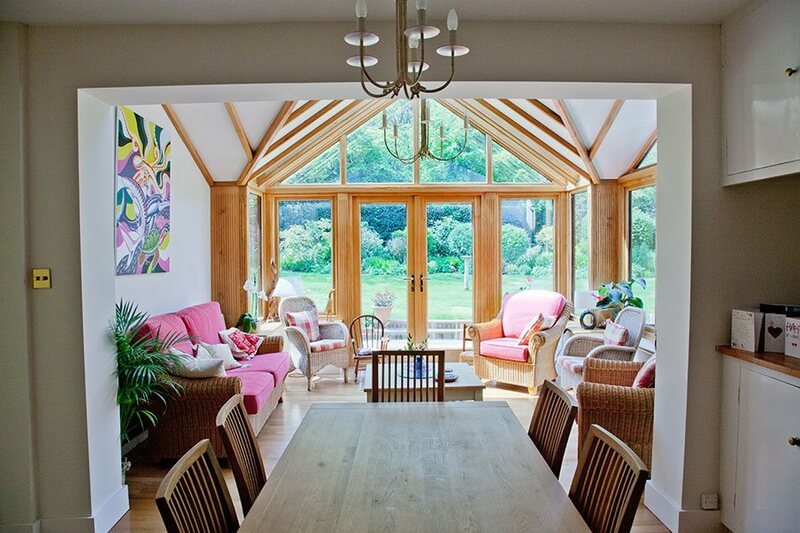 These studies show just how important health and well-being properties are to homeowners today - and how timber can positively impact this. 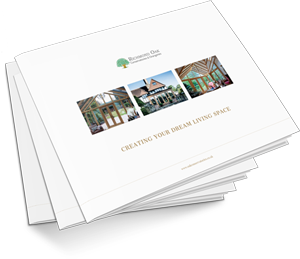 If you’d like to increase your exposure to wood products, your home is probably the easiest place to start. 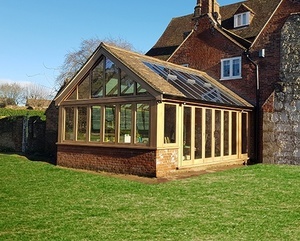 Whether you start small - with some wooden furniture or a few wooden accessories - or invest in a large timber construction in the form of an extension - for example an oak conservatory or orangery - bringing timber into your home will create a place which is calming, relaxing and good for your overall health and well-being. Studies have shown that offices which feature wood benefit from employees with an increased productivity rate. At the same time, workers report feeling more energised, innovative and comfortable. In addition, cognitive abilities have been said to increase by up to 61% when in an environmentally-friendly building. Mitie, a facilities management company, conducted a similar case study. They fitted out several areas of an office within The Shard with wood products. This resulted in the employees being 38% more relaxed, 10-20% more productive and 10.8% happier by mid-afternoon. Many businesses are focusing their sustainability agenda and prioritising eco-friendly practices, as well as their dedication for employee health and well-being. 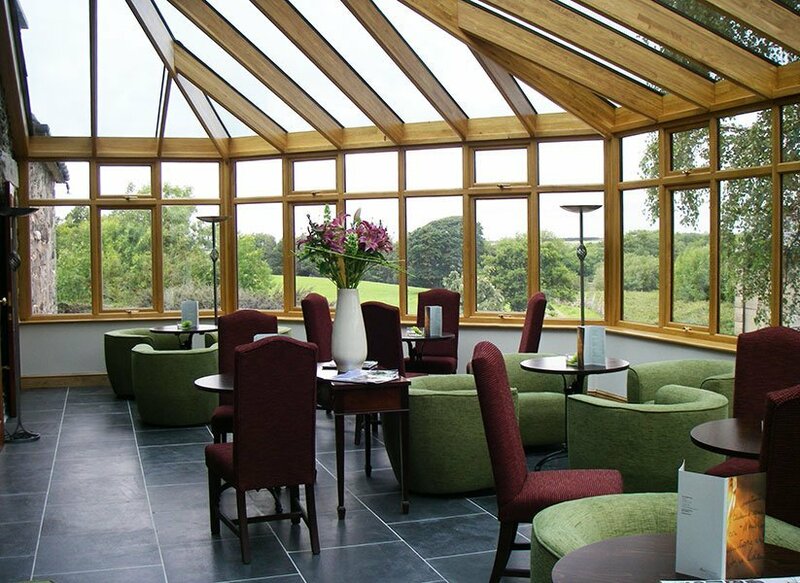 As a result, natural and environmentally-friendly materials, such as wooden desks, oak window frames and timber doors, are becoming an incredibly popular choice for commercial buildings. It is clear that the construction industry already realises, and focuses on, the benefits of timber. Not only does it offer a sustainable, fast and low-carbon construction solution, it is also hugely beneficial to the welfare of its occupants. 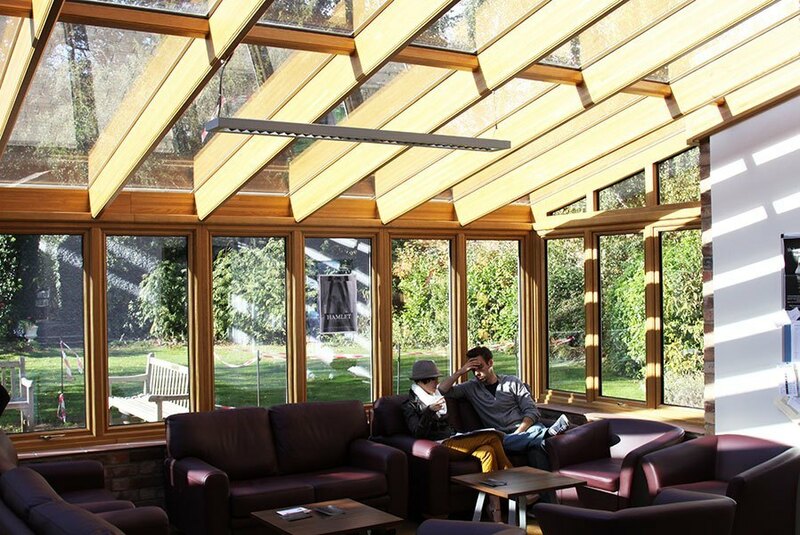 The Wood for Good campaign, for example, has been developed to actively promote the use of timber, as well as its benefits within the building industry. Similarly, the Timber Trades Journal (TTJ) is holding a Wood and Wellness Conference in February 2019. 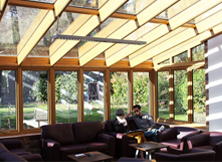 This major conference will focus on wood’s role in promoting health and well-being. With the world becoming increasingly digital, it is now more important than ever to recognise the phenomenon that is biophilia and invest in natural materials. As we look to bring more wood into our homes, schools and workplaces - in order to create spaces that positively impact our physical and mental health - the demand for timber is going nowhere. In fact, it’s likely that we’ll see an increase in the popularity of timber constructions over the next few years which, in turn, should lead to a healthier, happier population. 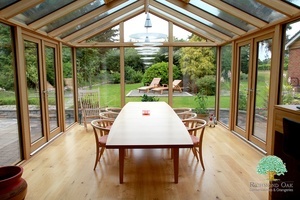 Here at Richmond Oak Conservatories, we design and install stunning timber conservatories. 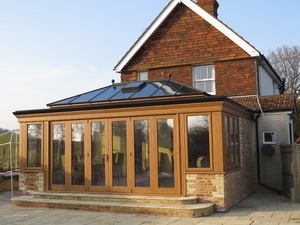 Our hardwood extensions are completely bespoke, built to last and of the highest quality. 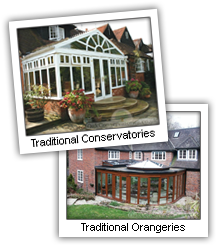 So if you’d like to reap the health and well-being benefits of timber in your home - whether in the form of a beautiful conservatory, orangery or garden room - get in touch with the friendly team of professionals at Richmond Oak Conservatories today.